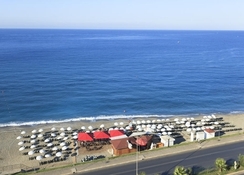 Diamond Hill Resort Hotel in Alanya is a great choice for those looking for comfortable accommodation, lots of recreational activities and nightlife in addition to the luxury of a private beach. The hotel offers all-inclusive schemes so that you have peace of mind while enjoying your holiday. There are over 250 guestrooms in at the Diamond Hill Resort Hotel, most of which offer excellent views of the beach. The clutch of restaurants at the hotel offer to guests a wide variety of cuisines from around the world. The bars stock up on fine wine and tasty beers. The hotel features a spa and wellness centre and three outdoor swimming pools. 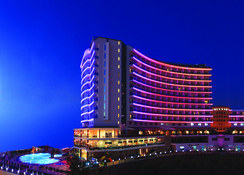 Diamond Hill Resort Hotel is around 130km from the Antalya Airport. 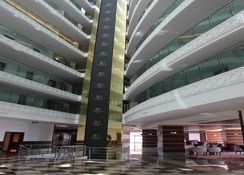 The hotel is close to serveral tourist attractions including the Red Tower, Dimcay, etc. Some restaurants and bars are also near the hotel. 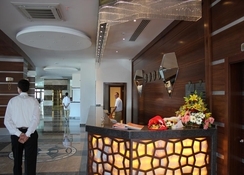 There are 298 guestrooms offered at the Diamond Hill Resort Hotel, that are categorised as 256 standard rooms, 18 large rooms, 20 rooms with interconnecting door, three handicapped-accessible rooms and one king suite. They are furnished with one double bed, one single bed and an armchair bed. Standard rooms (adjacent ones) are interconnected with doors to accommodate guests in groups. Each of these large rooms houses up to four adults and a child. The handicapped-accessible rooms can accommodate three persons. These rooms are specially designed with easily accessible beds, bath and toilet. The main restaurant at the Diamond Hill Resort Hotel seats guests al fresco and indoor. They serve a variety of Turkish as well as international cuisine for breakfast, lunch and dinner. There is also an a la carte restaurant that serves unique flavours of international cuisine and opens from 7:30pm to 10pm. The hotel lets you book a la carte only once during your stay. Diamond Hill Resort Hotel has several bars right from a lobby bar to pool bar to roof bar. There is a beach bar on the private beach of the hotel, which is easily accessible via an underpass. The bars serve a variety of cocktails and a menu of elite alcoholic beverages among others. 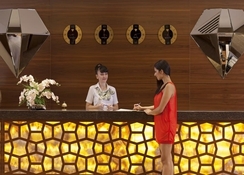 An in-hotel spa ensures your holidaying experience gets better. The spa offers a host of services and employs the healing power of water to give a fresh lease of life to your body. A variety of entertainments such as beach parties, live music, magic shows and acrobatic shows are organised to amuse the guests. 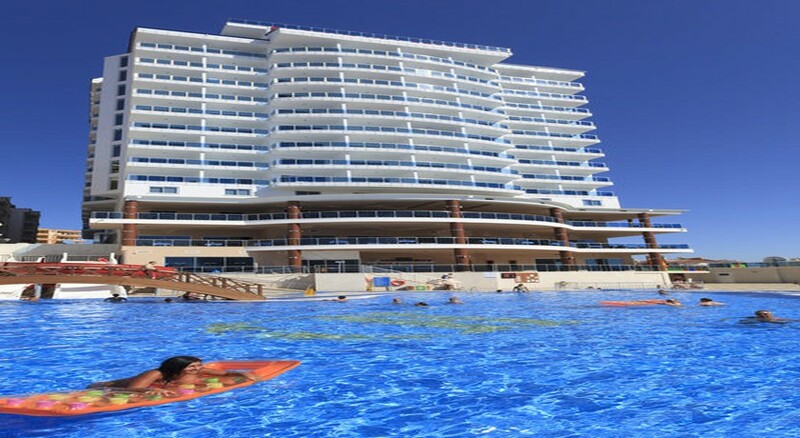 Moreover, there are a number of activities like outdoor swimming pools, children’s pool, water slides, water gymnastics, water polo, game room, table tennis, darts, mini club for children and beach volley ball. Experienced animation personnel run day and night animation and keep you pleasantly occupied. The private beach of Diamond Hill Resort Hotel has plenty of free sunbeds and parasols. Fabulous Hotel with lovely staff. Would definitely recommend and would defiantly return. All good some of the men are perverted. The food ok its best on the beach but gets a bit boring after a week. Hotel is nice but full of Russians apart from that all good will go back again.